Common GI symptoms, such as bloating or gas, are often a sign of an undiagnosed condition or disorder related to the gastrointestinal tract. Symptoms may cause pain, discomfort or embarrassment for the sufferer, with little relief from over-the-counter medications. The issue, in most cases, is that the contributing condition is unknown, and these treatments are designed to address specific contributing factors which may not exist in the patient. When you seek treatment from Dr. Yamini at his offices, you will undergo a thorough examination and consultation. Depending on the symptoms being experienced, patients may also require diagnosis through the use of medical imaging devices, such as capsule endoscopy, in order to identify underlying health conditions. 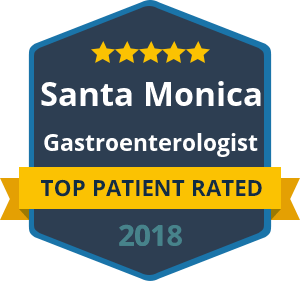 It is of vital importance that you seek medical advice from a gastroenterologist if you are experiencing common GI symptoms in California. Although IBS is the most common condition diagnosed by gastroenterologists, it is believed that the vast majority of people suffering from IBS remain undiagnosed. Symptoms may include abdominal pain, cramps, diarrhea or constipation, bloating and irregular bowel movements. Living with IBS can become incredibly uncomfortable, as the symptoms of the condition are often unpredictable and vary in severity. IBS as a condition is not fully understood, although abnormalities in how the bowel moves have been linked to symptoms such as diarrhea and constipation. Diagnosis is constantly improving and Dr. Yamini is an expert gastroenterologist who can provide consultation and treatment. It is also worth noting that the symptoms of IBS may be indicative of more serious conditions, so you should seek consultation for your own peace of mind. If you would like a consultation with Dr. David Yamini or a member of his team, contact our offices today. We look forward to helping you find relief from common GI conditions such as IBS.